Looking for the man of the bridge. 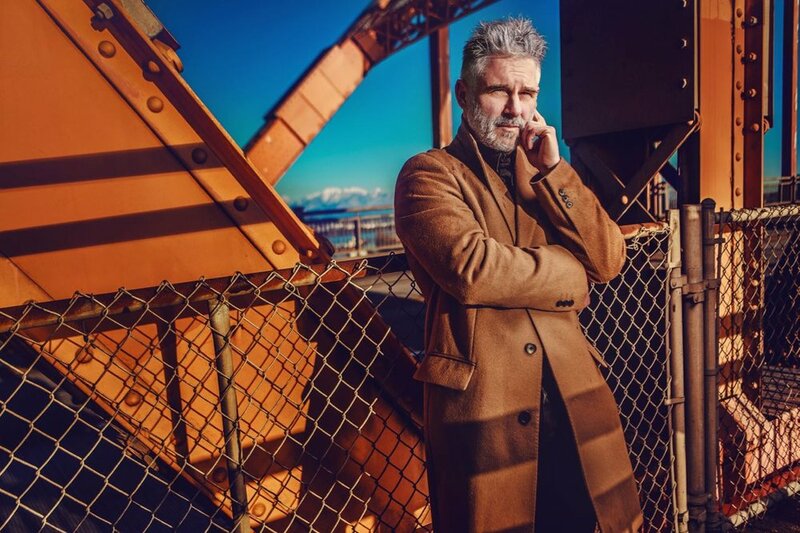 Following a great interest for historical figures, London fashion photographer Konstantin Suslov, while on a trip on the Canadian West coast, spent a fair amount of time in New Westminster, BC, very close to the Pattullo bridge, trying to gather hints about the man of the bridge. Nobody ever heard of him, only truck drivers sometimes at dawn or dusk could hear roaring screams while discerning in the middle of the empty bridge a silhouette running across the bridge as if inspecting the perimeter. It is said that on his last morning in New Westminster, he was able to immortalize the man and gather an interesting artefact he was able to show to a crowd of curious bystanders walking their dogs under the bridge. The Man of the bridge's anamorphic glasses. The man of the Pattullo bridge. Creating visuals for Suquet - Contemporary furniture store.